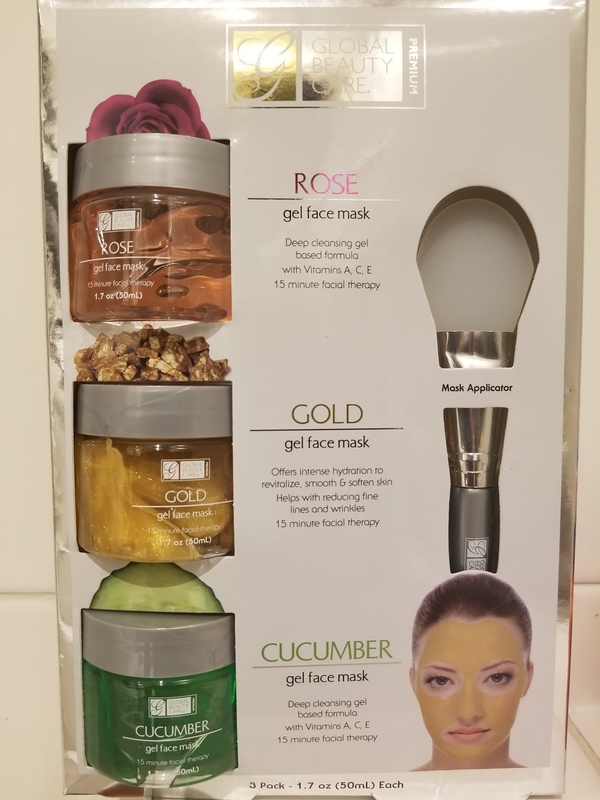 My wonderful mother must have been tired of hearing my skin complaints because for Christmas this year she got me a Global Beauty Care Gel Face Mask Set with Rose, Gold and Cucumber masks. I was super excited to open the gift and try them out! Rose Gel Face Mask is a powerful facial treatment designed to improve the health and appearance of your skin. Rose oil is extracted from the petals of roses. The oil is an anti-inflammatory agent and tissue regenerator loaded with therapeutic benefits for the skin. Gold Gel Face Mask is a luxurious anti-aging skin treatment. Infused with Gold extract, it is known to reduce the appearance of fine lines & wrinkles by firming and toning the skin. In addition, it offers intense hydration to revitalize, smooth and soften your skin. Pamper yourself with the luxury of gold for a flawless, luminous and radiant looking complexion! Cucumber Gel Face Mask gently draws out dirt and impurities from your clogged pores and lifts away dead skin cells. The cucumber extract soothes and cools skin and helps to ease puffiness. The unique blend of moisturizers leaves your skin feeling smooth and silky. Your face will feel clean, refreshed and revitalized! These masks give me a spa facial feel – without the price! I love the application brush which helps evenly apply the get over my skin without making a mess. They are luxurious, hydrating and firming. My skin glows and is so amazingly soft afterwards. I can’t believe how high quality they are without a high price tag. I am definitely adding these products to my weekly skin care regime. I highly recommend you pick up some to try if you are looking to show your skin some love. 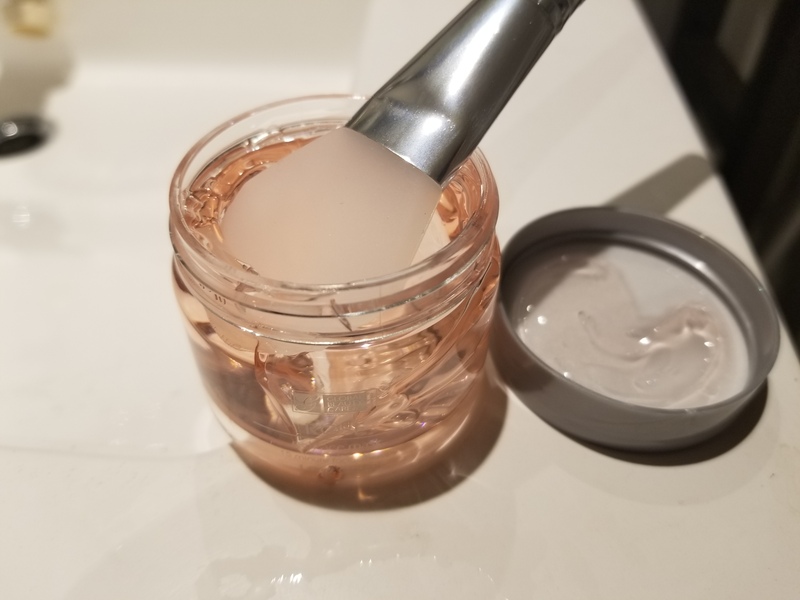 This entry was posted in Beauty and tagged facial, gel, gel mask, hydration, love your skin, mask, Skin, skin care by maldham. Bookmark the permalink. Oooh – like that they come with a brush! That’s awesome! Have you tried the Vichy masks ? If so are they comparable to these ones? I love Vichy but I’maways trying to find some budget friendly masks that are comparable to them. The gold mask looks really intriguing and I’m all over anything anti-aging! Great review! I can’t recall if I have used the Vichy masks. I do love most Vichy products! I would say keep an eye out for these masks and give them a shot. The quality is consistent with what I would expect from Vichy.